19 January 2017 – Say bonjour to Ufeel Fab, the largest member of the urban-chic Ufeel range. Characterised by a sleek metal and Soft Touch finish with elegant, ergonomic 2.5D curved display for optimal size and grip for users’ comfort, Ufeel Fab’s neo-retro design is a feast for the eyes. “The Wiko brand is about fun and making life simpler for users. Part of that simplicity is satisfying users’ daily needs in a smartphone. With the new Wiko Ufeel Fab you get a stylish smartphone with a sleek urban look that delivers a power-packed experience. 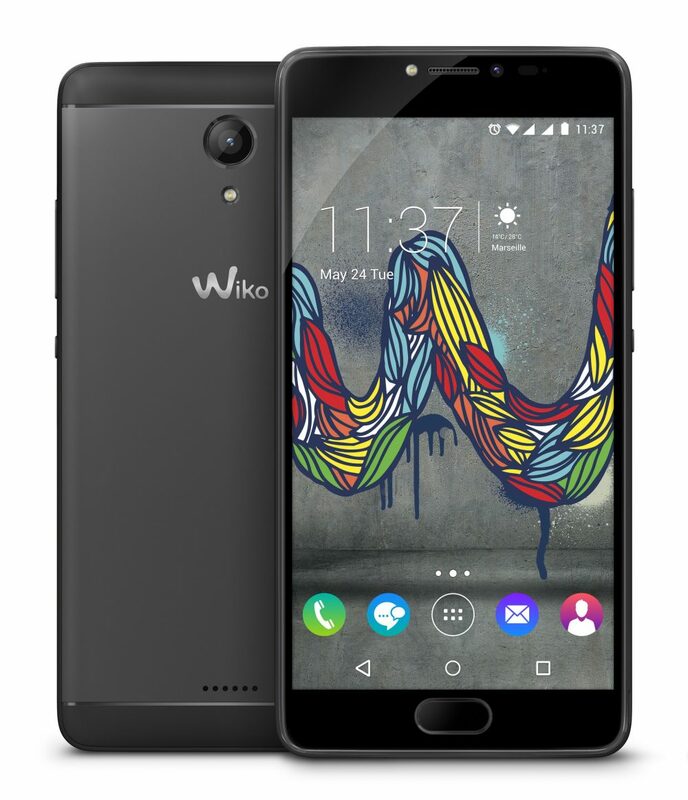 Merging the right technology and at a competitive price, Wiko is absolutely thrilled to present our customers in Malaysia this latest exciting smartphone in the Ufeel range,” said Wiko Mobile Malaysia Business Development Director, Mr Ken Ang. Equipped with fingerprint sensor technology for boosted security, speed and functionality, the Ufeel Fab is able to personalise five customisable actions by registering different fingers using one or both hands. Easy to set up and user-friendly, the possibilities are limitless for various customisation such as launching the camera, checking e-mails or even calling your loved ones – all recorded in a single action on your smartphone. As the largest smartphone of the Ufeel range, power and size are the main attraction of Ufeel Fab. The XL 5.5” HD screen has a high resolution of 1280 x 720 pixels to project sharp, bright images and text for enhanced viewing comfort. Equipped with 4000 mAh battery and able to function as a Powerbank, the Ufeel Fab is a true powerhouse that users can rely on. Enjoy the ultra-fast, immersive multimedia experience backed by Quad-Core processor and 4G LTE for quick start up, download and upload speeds. Proudly designed in France, the Ufeel Fab also has user friendly interface with Smart Actions feature for intuitive experience, and its Phone Assist feature provides easy app and settings management. For photo-taking enthusiasts, Ufeel Fab has a 13MP sensor and 5P lens for luminous photos as well as a 5MP Selfie flash front shooter. Available in tasteful True Black colour, the Wiko Ufeel Fab retails at RM799, and is available at all authorised retail outlets throughout Peninsular and East Malaysia. Previous : iflix Internet TV Is Now Available In Pakistan!